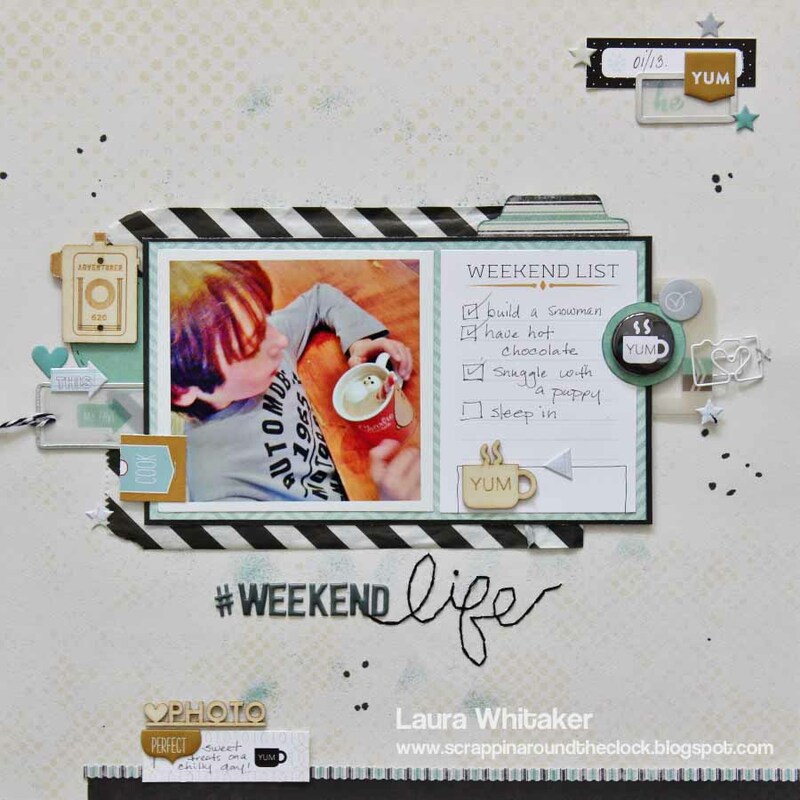 Laura here today sharing a layout and card. My youngest son loves to play out in the snow: building snow forts and snowmen and toboggan behind our house. Of course a big perk for all that chilly play is hot chocolate, and when the hot chocolate has a snowman shaped marshmallow it is even yummier - true fact! I started my page by adding a bit of teal Copic marker misted through a mask with a Spritzer tool. And then I added some splashes of black mist. 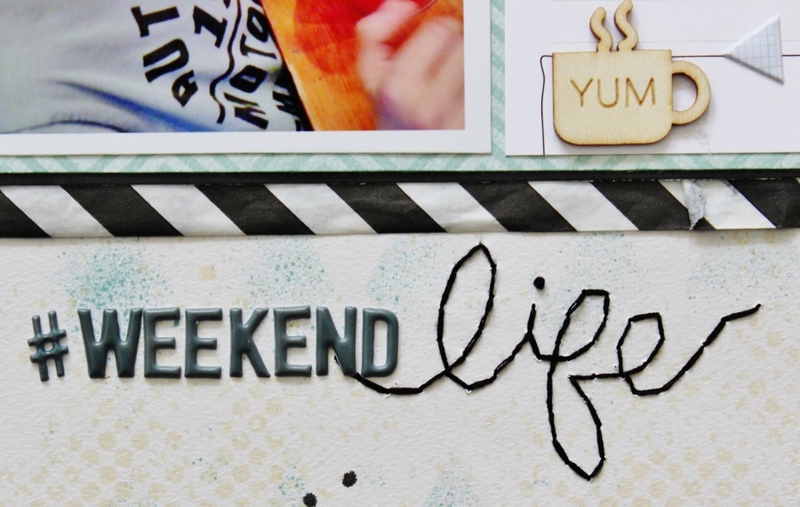 Then I layered up the "Weekend List" large 3 x 4 tag and my photo, onto a teal piece of patterned paper and matted it in a darker piece, and then layered all of that onto a fun little bag that I got from a friend. Then the fun bit begins! Adding a whole bunch of fun Evalicious goodies! The first thing I added was my title, using some of the fabulous puffy alphas and stitching the rest. 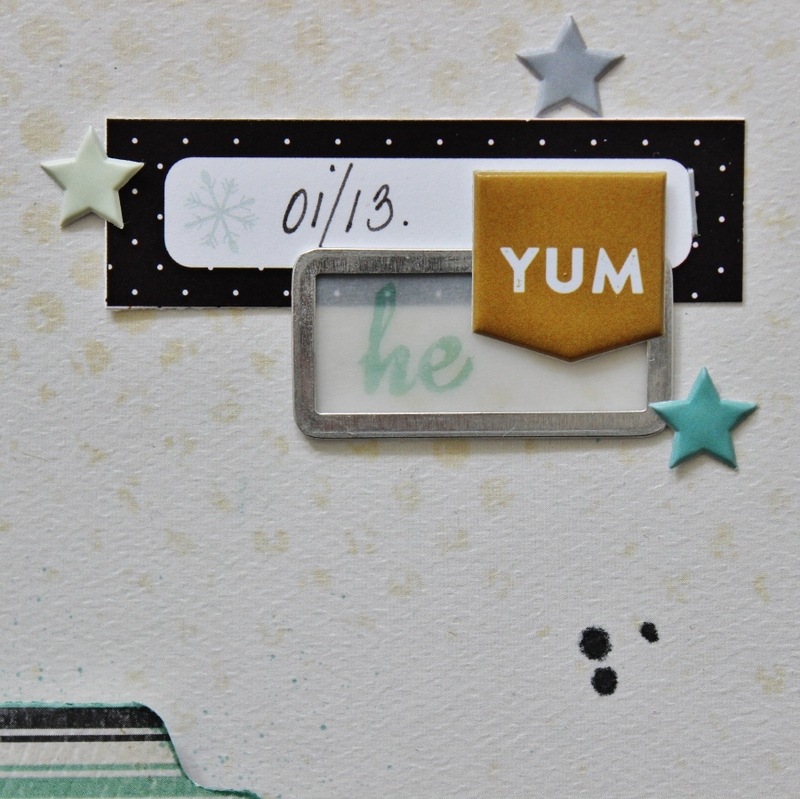 I incorporated some snipsnip labels and puffy stickers from the Oh What Fun collection, as well as some stamping using the 'Adventurer' stamp set. You probably know how much I love the badge buttons and this one from the "Oh What Fun" collection is no exception! 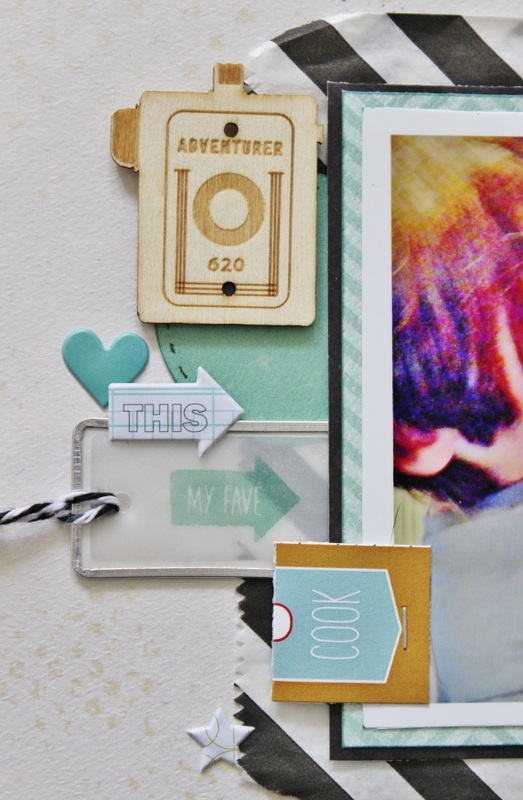 The 'Camera Love" clips are pretty fabulous, too! 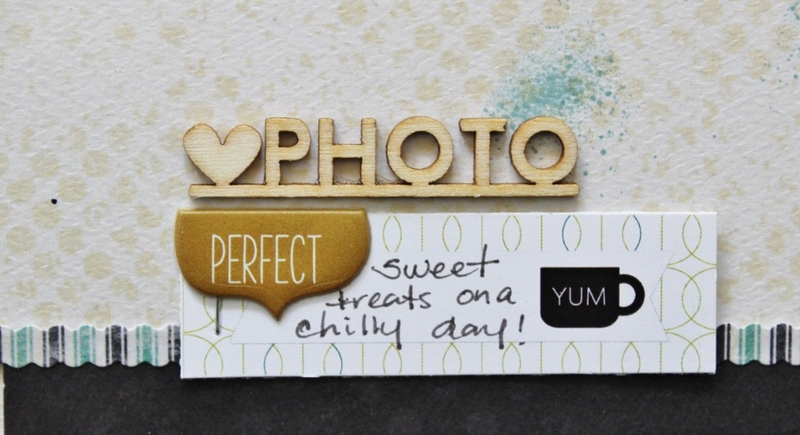 I used a couple of pieces of "Photo shoot" wood veneer as well as that cute little mug form the "Oh What Fun" set, more "Oh What Fun" puffy stickers and snipsnip page tabs, as well as a stamp from the "Daily Life" set. Next up is a Valentine card that I created for my husband. I started out by stamping the amazing typewriter from the "Field Notes" stamp set and the "Love" from the "Photo Shoot" stamp set, which I coloured in using a felt tip marker. 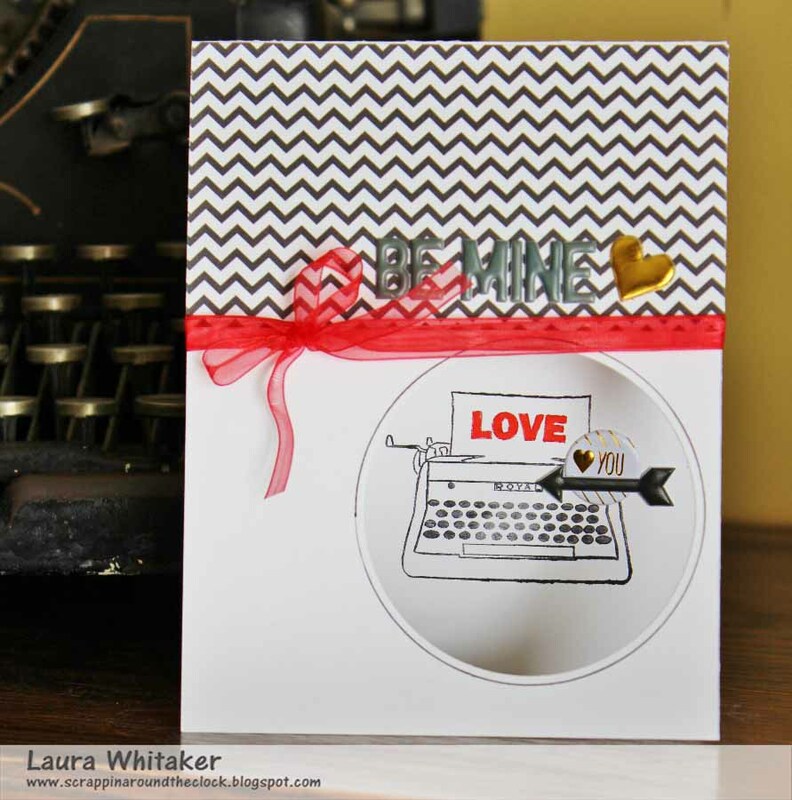 Then I punched a circle in the front of my card to reveal the inner stamping. Next I added some golden goodies from the "Golden Misc. shapes" puffy stickers set, puffy alphas and a puffy arrow from the "Photo Shoot" set, and then topped it all off with some red ribbon. 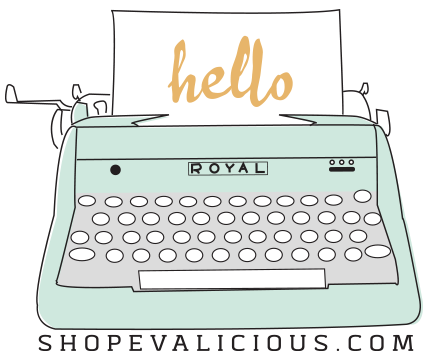 Can I tell you what I love most about all the Evalicious goodies? 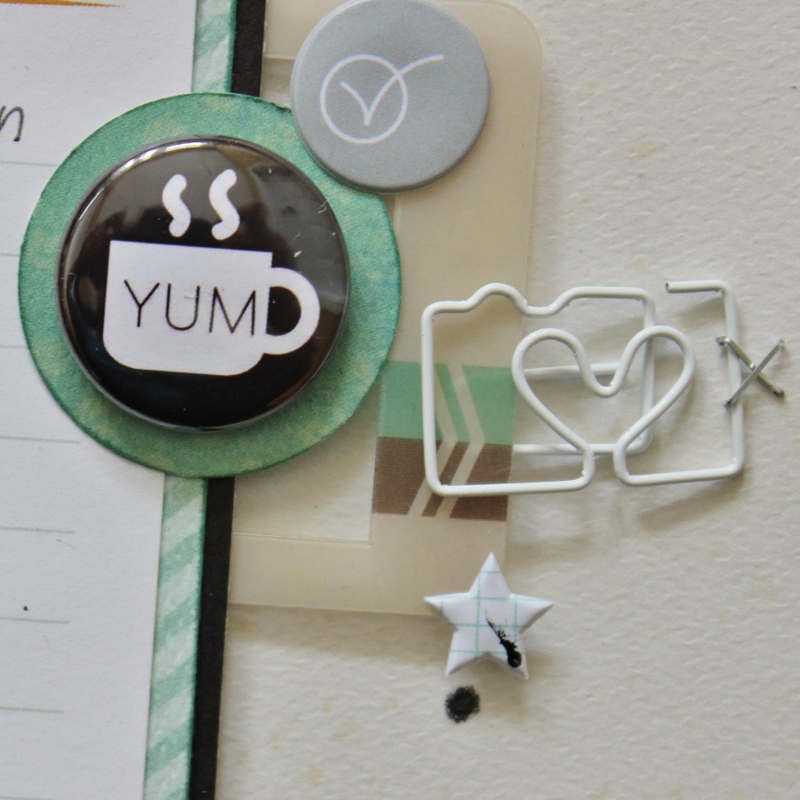 I love that the large tags and fun labels are reminding me to journal. Something I used to struggle with. Now I realize everything I write doesn't need to be poignant, inspirational, or super deep. Little snippets of our lives, the kids likes and dislikes and a few details of our adventures are just perfect - and it makes them love their pages even more! Other Products: Authentique and Fancy Pants patterned paper, Tim Holtz Tiny Attacher and Spritzer tools, Copic marker, Prima mask, Staedtler pen, Mr. Huey's mist, CTMH ink, DMC floss, Doodlebug twine, Crate Paper slide frame, misc. paper bag and silver rimmed tags, We R Memory Keepers stitching template.